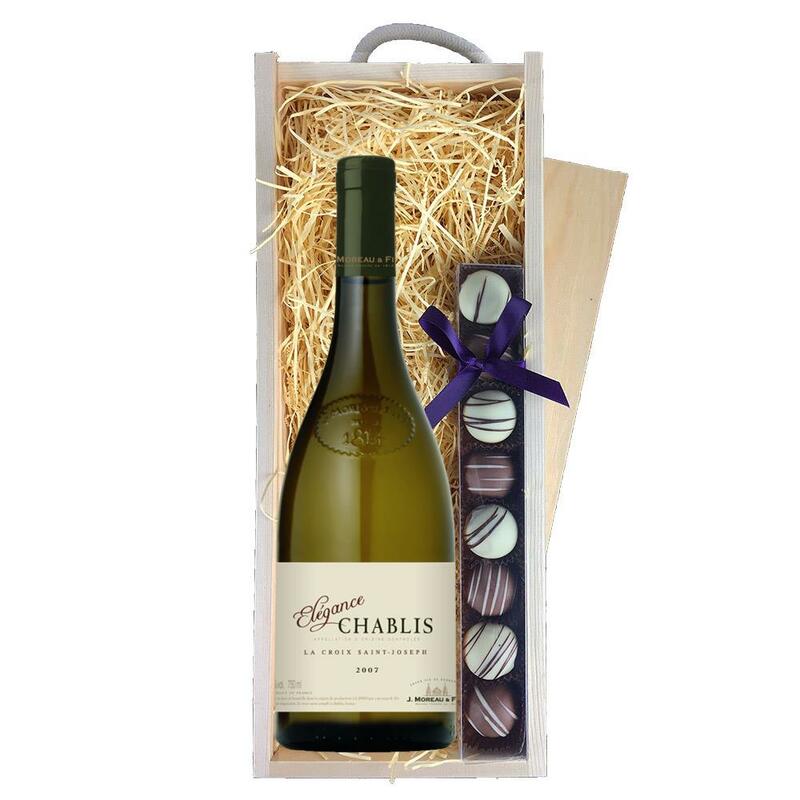 A single bottle of Elegance Chablis 70cl and a single strip of fine Hand Made Truffles (110g) Presented in a wooden gift box with sliding lid and lined with wood wool with a Gift Card for your personal message. Elegance Chablis - The famous and well-reputed Chablis specialist J. Moreau et Fils is now part of the enormous Boisset empire, without any discernable detriment to the excellence of their wines!! The grapes for the Chablis come from three distinct plots that belong to two partner growers, both winegrowers for several generations. This product is hand packed onsite by Gifts International, and is not affiliated with any other brand. Gifts International is responsible for this product combination/set.